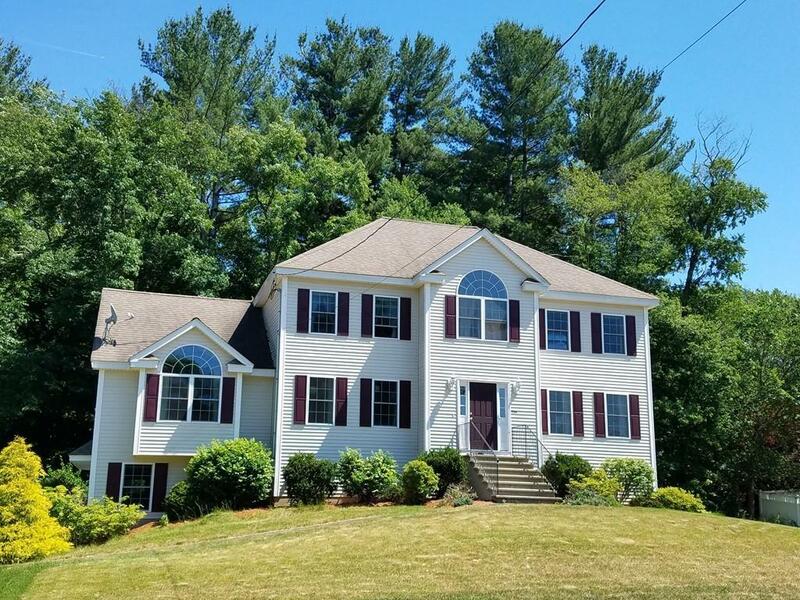 Sited up & backing into trees this Beautiful young Elegant Colonial is set on a sprinklered lot. Sunlit rooms. Beautiful eat-in kitchen with breakfast bar & ceramic floors & sliders to sundeck. Kitchen & family room with recessed lights, Cathedral ceiling Family Room 16'x24' with Paladian Window & Gas Fireplace. Hardwood floors throughout home. Master Bath with whirlpool tub & double sink vanity & 10'x6' double racked walk in closet. Office/Den with French Doors Walk-up attic (unfinished) with 2 skylights. Basement unfinished, ruff plumbed for Bath & Sliding Glass Doors to rear yard.. Convenient to Rt 3, 4, 129, 495, 95 , Shopping & Train Station to Boston. Vacant & ready for you to occupy.